Five Tips to Ask Before Engaging a Mortgage Broker or Lender in Fayetteville, Jacksonville or Tampa (MacDill Air Force Base), by Andy May, COO, AAFMAA Mortgage Services. Top five tips to ask before engaging a Mortgage Broker or Lender in North Carolina or Florida, by Andy May, COO, AAFMAA Mortgage Services. Not all loan officers are the same. Many have few, if any, requirements. Make sure your loan officer is State-licensed. Top five tips to ask before engaging a Mortgage Broker or Lender. North Carolina and Florida military families need to know the differences between loan officers. Andy May, explains in five easy steps (tips) how a military family can identify a trustworthy and transparent firm like AAFMAA Mortgage Services (AMS). First, research the loan officer. A state-license ensures that the loan officer has the education and training required to best serve the military family through the mortgage process. At nmlsconsumeraccess.org, military families can see if the loan officer has a state-license or just a federal registration number. Many lenders hire individuals that do not qualify as state-licensed loan officers. Second, has the "loan officer" had many jobs in many industries? Military families need a strong fiduciary when acquiring the largest liability for most families - a mortgage. Too much can go wrong if a military family trusts the wrong company. The Consumer Financial Protection Bureau (CFPB) website lists hundreds of thousands of examples of what can go wrong at specific lenders. Third, does the lender only offer one type of mortgage product, such as a VA mortgage? While the military family may think a VA mortgage provides the best option, that's not always the case. "VA mortgages are a great option for about 40% of military families, but in the other 60% of military families, FHA, USDA, Fannie and Freddie are better," according to Andy May, COO at AMS. "Too frequently, in the mortgage process, lenders make the mistake of not offering the best mortgage product for the military family." Fourth, why do military families need a state-licensed loan officer? A relatively simple question with a simple answer: fiduciary responsibility. State-licensed loan officers have a higher obligation to act in the best interest of the military family, whereas unlicensed state-loan officers do not. Andy May asks, "Why would military families choose a lender without a state-licensed loan officer from the state in which they live and work?" Fifth, search for the name of the mortgage lender and the word "complaints". Then search for the loan officer's name and the word "complaints". Review the results and see if there are any red flags. Some companies have thousands of complaints. Andy May, state-licensed loan officer (103418) and COO of AAFMAA Mortgage Services, proudly represents military families interested in purchasing or refinancing residences. The seasoned professionals at AMS take the military mortgage buyer’s concerns seriously. 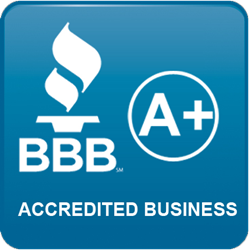 AMS competes on rates and service and takes pride in continuing its tradition of zero BBB complaints to date. Get the most value out of a home refinance or purchase by working with state-licensed mortgage professionals with significant experience and education. AAFMAA Mortgage Services. 844-422-3622. http://www.aafmaa.com/mortgage. Physical location 639 Executive Place, Suite 203, Fayetteville North Carolina 28305. NMLS 1423968. MLO 103418. Equal Opportunity Housing.